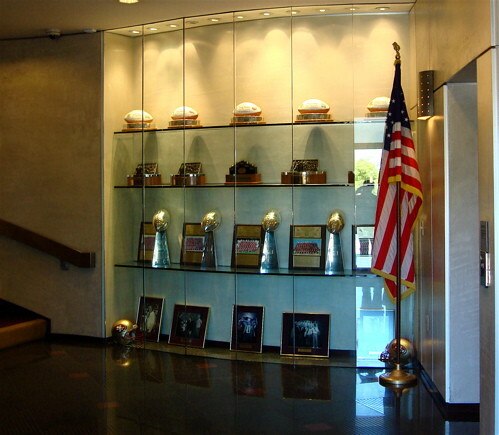 San Jose Metblogs » The Red Bluff 49ers? I was disappointed when plans to bring the San Francisco 49ers to San Jose fell through, but then hope sprung anew when reports that Santa Clara could be a possible site. The area near Santa Clara’s convention center and the 49ers training camp would seem ideal, but the proposal will have to clear the many predictable hurdles, and working out all the details won’t be easy. The topmost obstacle, after getting the stadium proposal on the ballot, will be convincing the residents of Santa Clara to vote in the affirmative. One group of concerned citizens, and readers of Metroblogging San Jose ask, “Should the city of Santa Clara spend $2,600 in cash, land, and other property on a stadium in Santa Clara? We’re a group of Santa Clara residents who say “no”. Their blog, Stadium Facts*, addresses the groups concerns. The South Bay should have a major league football team and it is important to take it slowly, but not so slowly that we will be home watching the Red Bluff 49ers on TV. It’s atually $2,600 PER RESIDENT — ebery man, woman and child residing in the City of Santa Clara. Could you please make that change to your post? If all the 49ers wanted from Santa Clara was $2600 in cash, there would be very little opposition to this plan. I wondered about that amount, when I copied your quote.